Bob Mariano takes the helm as the River Cats' sixth manager since the inaugural season in Sacramento in 2000. During his previous six seasons as the Giants Triple-A skipper, Mariano has managed several big leagues stars such as Madison Bumgarner, Buster Posey, Pablo Sandoval and most recently Joe Panik, Travis Ishikawa, and Roseville native Andrew Susac during this past season. Prior to managing Fresno, Mariano has served as skipper for Class-A Advanced Vero Beach (Dodgers) of the Florida State League in 2001, the Pacific Coast League's Tucson Toros (Brewers) in 1997, and the California League's Stockton Ports (Brewers) in 1995. Mariano has been with the San Francisco Giants organization since 2005, serving as a coordinator of Minor League hitting instruction for the Giants farm system from 2005-11, before beginning his managerial career in 2012. Mariano previously served as the Minor League hitting instructor with the Los Angeles Dodgers (2002-04), and in roles with the Baltimore Orioles (1985-86), New York Yankees (1988-92), Milwaukee Brewers (1993-97) and Arizona Diamondbacks (1998-2000) organizations. The Phoenix, Arizona native also managed in the Italian Baseball Federation (Anzio, 1987) and Australian Baseball Federation (Newport, 1987). The former utility player spent seven seasons in the minors with the Yankees (1980-82) and Orioles (1983-86). He originally signed with the Yankees as a non-drafted free agent in 1980. Andy Skeels will assume the role of hitting coach for the River Cats in 2015. Skeels was also the hitting coach for the Savannah Sand Gnats (2000, 02-04), Brevard County Manatees (2004-05), and Augusta GreenJackets (2006-07). 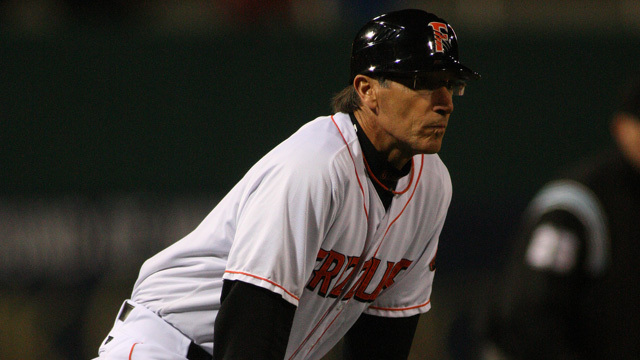 In six seasons (2008-13) as a manager in the San Francisco Giants organization with Augusta, Richmond and San Jose, Skeels went 497-342 and won more games and had a higher winning percentage (.592) than any manager in the Minor Leagues, and led August to the South Atlantic League title in 2008. Skeels managed from 2002, 08-13, and owns a career managerial record of 525-374 (.584). The New Zealand native was the first-ever New Zealand born player to be drafted by a Major League organization, and had the honor of managing the New Zealand national team in the 2013 World Baseball Classic Qualifiers, leading them to the championship game against Taiwan. He played at the University of Arkansas and was selected by the San Diego Padres in the seventh round of the 1987 Draft and played in the Minors from 1987-2001, briefly reaching Triple-A. Dwight Bernard will serve as pitching coach for the River Cats in 2015. Previously, he has been a pitching coach and instructor for nine different organizations from 1986-2014, including stints with the Minnesota Twins, Pittsburgh Pirates, and Milwaukee Brewers organizations. The Mount Vernon, Illinois native was drafted by the New York Mets in the second round of the 1974 Draft and reached the Majors with the club in 1978 spending most of that year in the Mets bullpen. He was traded to Milwaukee and in 1982 pitched an inning in Game 6 of the World Series vs. St. Louis. However, he was released by the Brewers the following spring. He spent 1983 and 1984 in the Houston Astros farm system and ended his career with the Baltimore Orioles in 1985. James Petra enters his seventh consecutive season in the Giants organization and first as the athletic trainer in Sacramento. The 2004 University of Connecticut graduate spent the 2014 season in Fresno after being with Double-A Richmond for two seasons (2012-13), and both Augusta (2009) and San Jose (2010-11) for one season each. Prior to the Giants, he spent 2007-08 as the assistant athletic trainer and head strength and conditioning coach for the Bowie Baysox, Double-A affiliate of the Baltimore Orioles. Brad Lawson starts his fourth season in the Giants organization as the strength and conditioning coach. Entering his seventh season in professional baseball, he previously worked for the Chicago Cubs and Washington Nationals after earning a degree in kinesiology and education from the University of New Brunswick (Fredericton, NB, Canada). He resides in Glenside, Pennsylvania. Pablo Lopez rounds out the River Cats staff for 2015 as clubhouse manager. Lopez has spent 18 full seasons in clubhouse management positions both at the Major and Minor League level since 1996, and has been with the Giants' Triple-A affiliate since 2011. Lopez has worked for the Los Angeles Angels, Oakland Athletics, and San Jose Giants and has assisted in Arizona spring training operations for various clubs. He is a native of Santa Clara and was raised in San Jose.